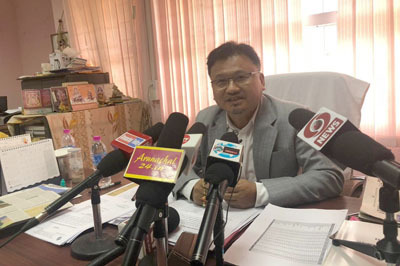 ITANAGAR, Apr 8: The Bharatiya Janata Party’s (BJP) election manifesto has run into trouble soon after its release on Monday with the announcement that the party would implement the contentious citizenship amendment bill (CAB). The BJP in its manifesto has put the CAB in the top section (‘Nation first’), stating: “We are committed to the enactment of the CAB for the protection of individuals of religious minority communities from neighbouring countries escaping persecution. The decision, however, has not gone down well with the opposition parties and several other Northeast-based organisations. The Congress party here has reacted sharply to the BJP’s promise with the Arunachal Pradesh Congress Committee’s campaign committee chairman Padi Richo terming it a “betrayal” of the people of Arunachal Pradesh. “The entire Northeast region, including Arunachal Pradesh, unitedly rejected the CAB. This bill will reduce the indigenous people of the Northeast region to a minority. By promising to pass the CAB again, the BJP has shown that it does not care about the sentiments of the tribal people of Arunachal,” said Richo. He alleged that the BJP leaders of the state act at the direction of the RSS and have no courage to oppose its diktats. “Today the RSS is pushing for the CAB and tomorrow they may seek lifting of the inner line permit system too. But sadly, the local tribal leaders who are part of the BJP do not show any courage to oppose such policies which are detrimental to the future of the state. The RSS is dictating the policies of Arunachal from its Nagpur headquarters,” said Richo. Meghalaya Chief Minister and National People’s Party (NPP) president Conrad K Sangma has also been vocal about the matter and has openly opposed the bill on several occasions. The NPP’s state unit also continues to endorse Sangma’s stand against the CAB. State NPP spokesman Mutchu Mithi said the party has been fighting against the bill since it was first brought out, and still stands by its stance. “We cannot accept all that is placed in a party’s manifesto. However, we will take note of the composition of the Lok Sabha and put forward our decision before the house. Our president has been opposing the bill since the very beginning and the state unit also stands against its implementation,” he said. The manifesto has also drawn the attention of the North East Students’ Organisation (NESO), which comprises eight major student organisations of the seven northeastern states. In a press release, the NESO, while condemning the move of the BJP, reminded that the entire Northeast was up in arms in the recent months against the move by the government of India to pass the CAB in the Rajya Sabha. “It clearly shows that it (BJP) has no regard for the welfare of the microscopic indigenous communities of the Northeast. This move is to reduce us to a minority in our own land. The NESO does not distinguish people on the basis of their religions. A foreigner is a foreigner, irrespective of a Muslim or a Hindu,” the NESO said. It said it would “not allow anyone to put the future generations at risk,” adding that the NESO would continue its movement to uplift, safeguard and protect the Northeast from both internal and external aggression. 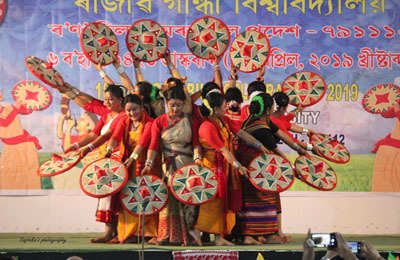 NESO advisor Samujjal Bhattacharya alleged that the BJP betrayed the indigenous communities of Assam. “The BJP government came to power promising to protect ‘jati (community)’, ‘mati (land)’ and ‘bheti (foundation)’. But after coming to power, the party has betrayed the people of Assam,” Bhattacharya was quoted as saying on an Assam-based TV channel. On the other hand, KMSS chief Akhil Gogoi urged the voters in the state to boycott the BJP and its partners. “The contentious citizenship bill still remains an issue of Assam and the Northeast. If the BJP comes back to power again, it would revive the CAB. It’s up to you (the people) whether you support the BJP or not,” Gogoi said. The matter of the CAB gained momentum when the BJP had in its 2014 general election manifesto promised to grant citizenship to Hindus persecuted in the neighbouring countries. Introduced on 19 July, 2016, in the Lok Sabha, the CAB attempts to amend the Citizenship Act of 1955 to allow illegal migrants from minority communities in Afghanistan, Bangladesh and Pakistan to be eligible for Indian citizenship. After discussion in the Lok Sabha, the bill was referred to a joint parliamentary committee in August 2016. While the committee reportedly met with hundreds of organisations in states that would be highly affected by the introduction of the bill, it drew flak from several political parties, and a series of protests were held in the Northeast states against the introduction of the bill in the Lok Sabha. Despite severe opposition last year, the controversial bill was passed in the Lok Sabha, and was sent to the Rajya Sabha in February 2019, where it failed to pass as the session was adjourned, giving temporary relief to those fighting against it.